I don't remember learning to ski. My parents took me out for the first time the winter before my second birthday, determined to raise a child they hoped would share their deep love of life in the mountains. As a teenager, when classmates' approval ratings and social calendars started to take priority, I resisted family ski trips. I looked for excuses not to ski with my mom, one of which was her very unstylish jacket. It was the jacket she wore year after year after year to be able to afford my season pass, new skis for my brother, gas for the drive to the mountain. I was either unaware or uninterested that my mother had given up so much of herself to share something with her children as brilliant and magical as skiing. It wasn't until much later in life, skiing on my own, I realized what a lottery my brother and I had won to be born to a woman who was up before the sun to chase first tracks in the mountains; a woman who would give that up for a time to carry a child, patiently waiting for the chance to impart her love of skiing to her two ungrateful children. I realized the gift we had been given by someone who expected no thanks. That's what mothers do. They set aside their own ambitions, time, and bodies. To give us life, our mothers endure their own uniquely beautiful, brutal experience—an effort that should be rewarded with a long rest. But there is no rest. Instead, without pause, mothers are initiated into an elite order of caregivers who will know no end to their sacrifice, no end to their love. And then, while continuing to ski themselves, they find the strength, the energy, and the time to take on the thankless job of raising skiers. These are a few of their stories. When she was 17 years old, Pip Hunt came down from her bedroom to find her mom slumped over the kitchen table, ski boots nearby, crying. It was February, and it hadn't stopped snowing for a week, which meant her mom hadn't missed a day of skiing all week either, despite working till midnight every night at the restaurant she owned. The tears? Pure exhaustion. "She was just so tired, but she couldn't stop skiing. She had to keep skiing because it was that good," remembers Pip, now 29. "She was addicted." Her mom, Martha Hunt, has built her life around a proximity to good skiing since she made her first turns at 14 during a school trip to Austria. 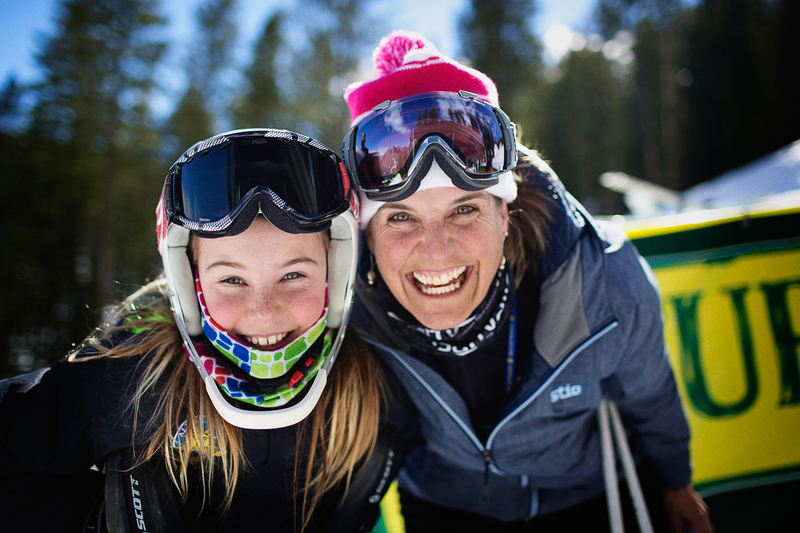 Despite being told from a young age that skiing was not a valid career choice, Hunt, 55, forged her own path and raised Pip, her only child and former Freeskiing World Tour competitor, with the same sense of optimistic independence that has always been her driving force. "Being out in the mountains and in the backcountry, even when Pip was young, there was a lot to be learned there—like there's no point to a hissy fit. Just being in that environment, you learn the endurance to cope and to overcome," says Hunt. "As you progress through life, you start to learn that once you've committed, you have to follow through. These are real life lessons from skiing: be prepared, be adaptable. You never know what's going to happen, even if you cover all the angles." 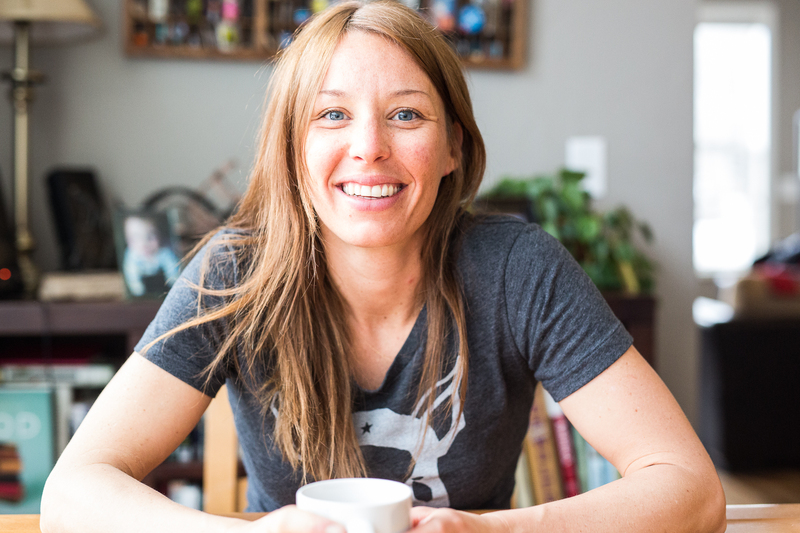 Born in England, the internationally certified ski instructor and yachtsmaster finished school at 16 and spent the next 10 years ski bumming around the Alps, working in kitchens and bars, doing whatever work she could find to support her powder habit. Eventually, Hunt turned to instructing and worked toward getting certified as a British Association of Snowsport Instructor, an extensive and all-encompassing accreditation that includes medical and psychological training in addition to technique and avalanche safety. When she became pregnant with her daughter, she thought the responsible choice was moving to Scotland—the only area of the UK with any real skiing—to work at a ski school. She and Pip's father bought a house and converted it into a successful ski lodge, but after two years, they determined the weather was terrible and the skiing worse. Toddler in tow, Hunt headed for the United States, where she spent the next year touring North America's best ski towns, surveying for a spot to raise her daughter to be a skier. "It was so fun to think that we could go skiing together [when Pip was younger]. The more you have in common, the better it is to do things together," says Hunt. "You can relate much more easily to your child when you share that, and I think that's why we're really lucky to have a really good relationship." Ultimately, she landed in Crested Butte, Colorado, where, until 2005, she owned and operated the Swiss Chalet, an après restaurant with six beers on tap, where regulars hung their ceramic steins on the wall and the doors didn't open until after 3 p.m.—an intentional choice for Hunt so she could ski every day before work. The Chalet was also home to Hunt, now a single mother, and Pip, who lived upstairs, a mere 500 feet from the lift. For Pip, growing up on the top floor of the Chalet meant first chair on powder days and access to the local ski academy, which turned into an eight-year career as a competitive skier. 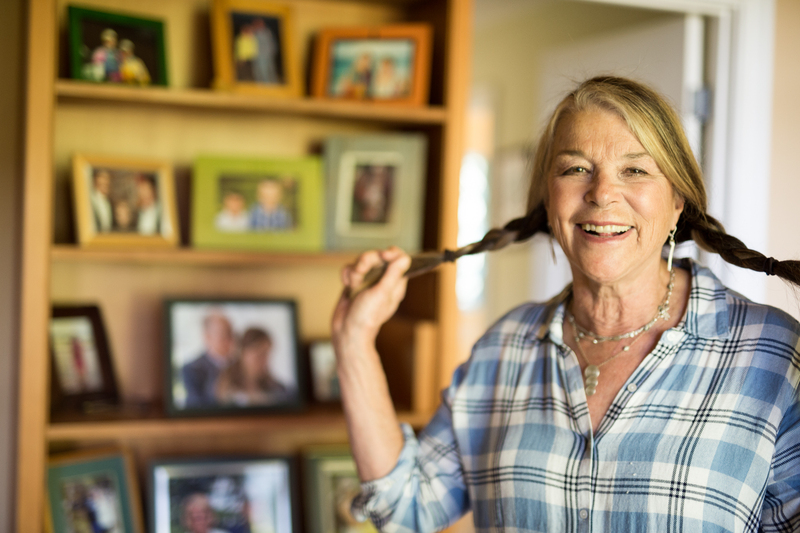 Life is a bit more relaxed now, says Hunt, who currently runs a catering business in Whitefish, Montana, and works construction with her husband. Leaving Crested Butte behind wasn't easy, but Hunt reverted to her usual philosophy: If the skiing is good, everything will be fine. "I've always been happy I chose this path—like every powder day is a reward," she says. "Even if you're having a bad week, you could go out and get your stoke on again. Just getting outside is all you need to reset. It puts it all in perspective." Daves and her sister, Laura, were unavoidably raised to be skiers, both attending racing academies in high school, Daves at Waterville Valley Ski Academy, her sister at Burke Mountain Academy before she went on to ski for the University of Colorado. On April 3, 1990, Laura lost control during a training run and was killed, a trauma that shook Daves deeply, but never kept her from skiing. A few months after the accident, she was back on skis competing in Zermatt. "My stomach flipped. But this was something my sister loved, and I wanted to celebrate that," says Daves, who was racing for Middlebury College in Vermont at the time. She went on to become one of the highest-ranking skiers in the nation after she won the slalom at the NCAA Championships in 1991. "I wanted my kids to ski because I loved it so much. Being on the ski team, I learned how to ski well, I had great teammates, and got to travel all over," says Daves. "Whether they do well or not doesn't matter. I view skiing as a way to expand horizons. It makes you work hard and challenges you to go outside of your comfort zone. Skiing is something you can do for your whole life and the community becomes family." A two-hour drive from her childhood home in Bethesda, Maryland, the Pennsylvania ski areas where Elizabeth Miller, 35, learned to ski stand in stark contrast to the peaks of the Tenmile Range at home in Breckenridge, Colorado. "I planned to move to Summit County for one season—that was 16 years ago," she says. "Right away I said, 'This place feels like home.'" Miller, who customizes mountain vacations through Ski White Diamond, knows she lives the good life, despite the long winters and high cost of living in a mountain town. Her home is less than two miles from the gondola, she skis with clients, and most weekends she doesn't touch her car. For someone who's been up the skin track before work and out on her mountain bike as soon as it's 5 o'clock, it's the perfect place to live and raise her 4-year-old son, Jarle, who got on skis for the first time last winter. Miller's pregnancy was unplanned—and also ideal, she says—being that there is never a good time for working, active women to have children. The surprise worked out well, she says. "Otherwise, I'm not sure I would have ever been able to say, 'Yeah, this is a good time to give up my free time, my body, my finances—everything—to have a child.' But then he was here, and I wouldn't give him up for the world. I was so excited to share my passions with him. Skiing is in his blood." For Miller, who skied through her pregnancy until her son was born in October 2012, skiing has always been the priority, so it was easy to make it one again. Her longtime friend and business partner, Jamie Alford, laughs at the suggestion Miller had to transition into motherhood. "What transition? She just carried on and added her son to her life," he says. "Jarle had no choice but to sign up, and he happens to love it. She skis, he skis." The anticipation of being able to share a love of being in the mountains with her son pushed Miller, who co-parents with Jarle's dad, to get her son on skis and expose him to a community of people who have a sense of pride in being skiers. "Being around people that follow their passion is really inspiring," she says. "These people live here because they love skiing. If they didn't, they wouldn't put up with long winters and expensive living. I've thought about, 'What if my son is not skier?' But I'm grooming him to be my ski buddy, because skiing with your kids is just so awesome." 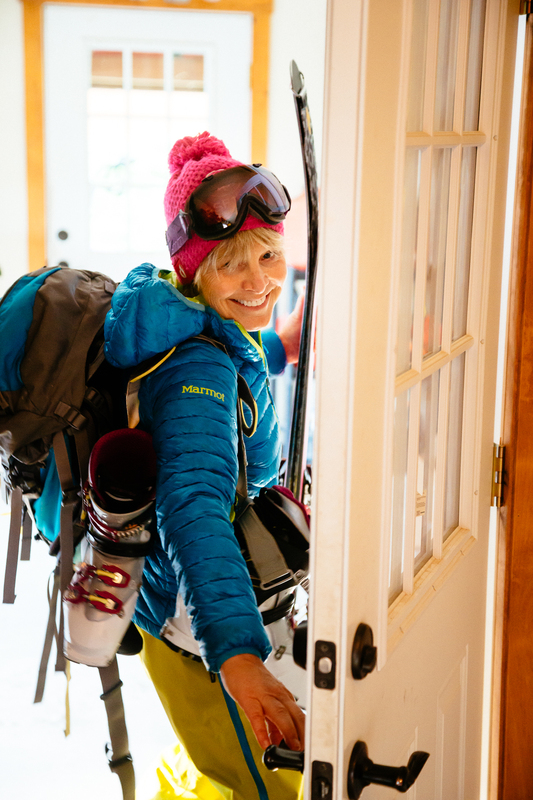 Since her breakout performance in Matchstick Productions' film Yearbook, in 2004, Ingrid Backstrom hasn't stopped pushing herself and the limits of big mountain skiing. Among the most decorated freeskiers ever, her day job for the last decade has been Alaskan spines, snowmobile treks into the British Columbia backcountry, and chasing winter around the world—and yet delivering her daughter, Betty, her first child, on March 15, was incomparable to any adventure. "The birth was crazy empowering. It was so physical in a way I was not prepared for. I've done a lot of really hard physical things, and this blew it all out of the water," says Backstrom, 38. "But it was amazing and so cool. When we got to hold our daughter for the first time, I just thought, Wow, we did this. I felt so connected to my body and to another person." As an athlete, Backstrom is very conscious of her body and how she uses it for skiing, but as her pregnancy progressed, her body transformed from a tool for sport into something new she was sharing with another life. "It was not just for me anymore," she says. "It made me want to be strong and to take care of myself for her." Backstrom gave in to her new center of gravity—"I mostly kept it on the ground," she says—and skied until 10 days before Betty was born. That's when life changed. "I don't know anyone who has a kid and says, 'I'm going to stop skiing,'" she says. "It is such a great adventure. We go on ski trips now with her and welcome the new challenge and new part of our lives. It's nice to have it not be all about me. It's really good for me to have a focus besides a selfish career and skiing." Seeing her own mother volunteer on the Crystal Mountain ski patrol for 20 years while raising a family of skiers (most days, she's still on the mountain until the lifts close) showed Backstrom that while it undoubtedly requires sacrifice, it is possible. "She was an amazing example, and it feels selfish or harsh to say, but it's important to have something to show your kids that the world doesn't revolve around them," says Backstrom, who was back on skis just three weeks after giving birth. "Skiing will always be my favorite, but this is priority now." 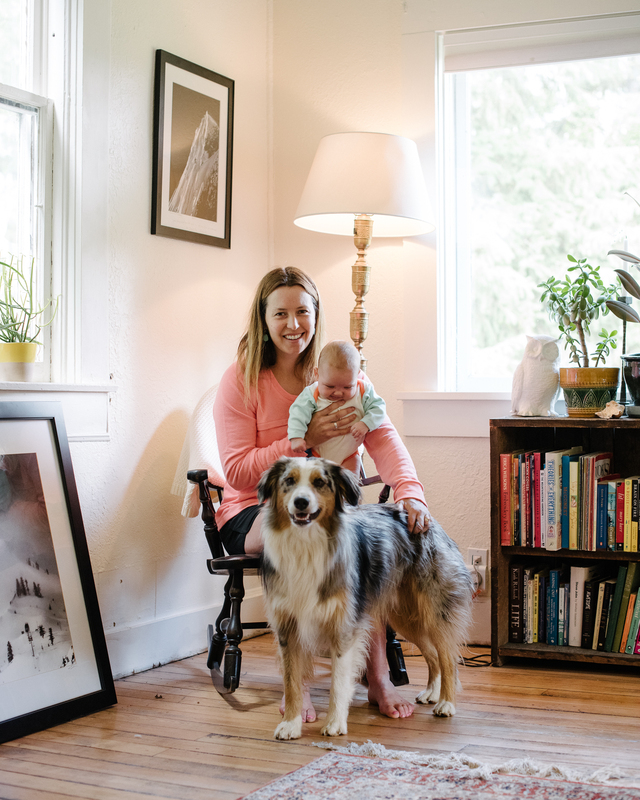 Before Betty was born, a friend offered Backstrom advice to take with her into labor: Like skiing, bringing a child into the world can feel like something to muscle through; it takes incredible strength. But a time will come when you have to relax and give in. Those are the two extremes of skiing, and that's what mothers do—everything they can, until the moment they have to let go.